The National Science Foundation (NSF) awarded a SBIR Phase I grant of $225,000 to IngateyGen LLC for project entitled: “Development of an Allergen-Reduced Peanut for Commercialization.” Award Start Date: July 1 , 2016 ; Award No. (FAIN): 1620897. 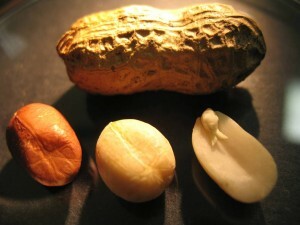 The One North Carolina SBIR/STTR Matching Funds Program awarded a Stage 1 Matching Grant of $50.000 to IngateyGen LLC for project entitled: “Development of an Allergen-Reduced Peanut for Commercialization” under Funding Opportunity NCBST–FY15-16M.